1. Opt for healthy food substitutes. We moms are creatures of habit. When grocery shopping, a lot of us tend to stick to food ingredients that work best for us and our kids, we rarely pay attention to other products available. This year, reconsider your usual choices and be more willing to try new, healthier options. Once you take the first step out of your comfort zone, making healthy meals eventually gets easier. For instance, why not cook brown instead of white rice from time to time? How about using honey instead of sugar? You can switch to non-stick pans to reduce oil consumption. There are many choices for you: whole wheat bread instead of regular bread, fruit juices instead of soda, yogurt in place of ice cream, cereals and fruit instead of cold cuts for breakfast, and so much more. If you think opting for low-fat and healthier food substitutes is a good idea, you have all the power to make the choice. You may get more ideas by reading this simple guide to making healthier eating choices. 2. Clear up some fridge and pantry space. It's the best time to sort out the contents of your pantry and your fridge. Do an inventory of your spice rack and dispose of everything that has been there for longer than six months as most spices lose their pungency within said period. And you know what to do with the refrigerator and the cupboards. Likely as not, you have some long-forgotten condiments or food items taking up some precious space. 3. Do an inventory of pots and pans. Do you use all of them? You might want to consider just keeping the bare essentials and giving away pots and pans you do not often use or do not use at all. There are people who might make better use of your extras and on your part, you reduce clutter in your kitchen. 4. Sharpen kitchen knives. Kitchen knives should be sharpened at least once a year. This may not be an immediate priority to most of us but it is something that is necessary for your safety and better efficiency in the kitchen. Read more tips here on the proper maintenance of your kitchen knives. 5. Support organic farmers. Organic food products are not only healthy, but on a bigger scale, they also foster better food security and balance in the environment. If you buy organic produce, you are also helping out our local farmers. You can order organic food products directly from sellers like Organic Manila or the Francisco-Shinozaki Farm. Visit this website for more information on where you can buy organic produce. 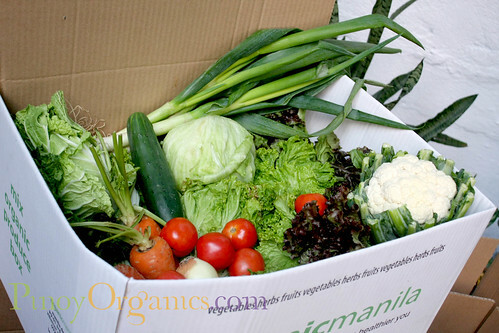 A small box of assorted vegetables, culinary herbs, and fruits costs P600 from Organic Manila. A standard box containing 10-15 kinds of vegetables costs P650 from Francisco-Shinozaki Farm, which also delivers organic eggs. Granted, organic produce is more costly but at least you can be sure that all food products are chemical-free and processed in the safest manner possible. If you cannot afford organic products at this time, you can always try starting an organic garden right in your own backyard! 6. Clean out the oven. If you love to bake, now is a good time to do some oven-cleaning. It won't take much of your time. Just make sure to follow manual instructions and to use appropriate cleaning products.Your oven will be as ready as ever to churn out delicious baked goodies to satisfy everyone's sweet tooth. 7. Try a new recipe every week. Spice up your kitchen routine by trying to make a new dish, dessert, appetizer at least once a week. Substitute an ingredient with something else for your specialty dish or research a recipe you have wanted to try for the longest time. Break the monotony and surprise your family. For some inspiration, Wokking Mom from Singapore surprises her son with adorable lunch boxes everyday. If you don't cook often, working on a special project in the kitchen is a sure stress-buster. 8. Participate in feeding programs. Food is more delicious when shared. 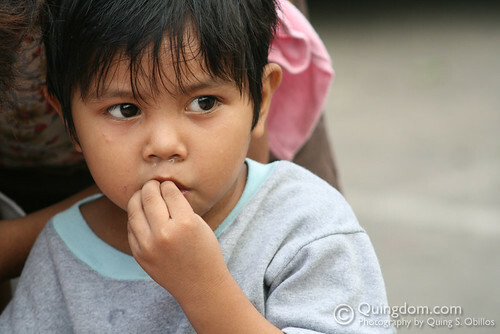 Not all children are privileged with having full three meals a day. Mommy Steffi and her family recently joined a feeding programs for some children in Cagayan de Oro. All of us can make a contribution to society. You can choose to make available your Master Chef talents and some of your time to participate in programs led by reputable charities like UNICEF, World Vision, GAIN, RockEd, and more.